DePaul is Jacksonville's first full-time school for dyslexia (grades 2-8), educating students with specific learning differences, including dyslexia, dyscalculia, dysgraphia, auditory and visual processing disorders, memory impairment, ADD, and ADHD. We've been helping kids in Northeast Florida for nearly forty years. 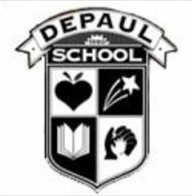 DePaul School uses the Orton-Gillingham approach, going beyond conventional accommodations to provide an optimal learning environment for students who fall behind in regular classrooms or special education, even if they have an IEP. Our classrooms are filled with multi-sensory activities delivered by certified teachers in small-sized classes. We serve students in grades 2 to 8 with dyslexia, ADD/ADHD, dyscalculia, dysgraphia, and auditory and visual processing disorders. We have tutoring, homework assistance, and speech therapy. 3044 San Pablo Rd S.